If there is one piece of cooking equipment I would suggest someone invest in, it would be a cast iron skillet. Unlike other popular cooking tools, the cast iron skillet will never die! Not only will it last 100+ years with proper care, but it is extremely versatile. 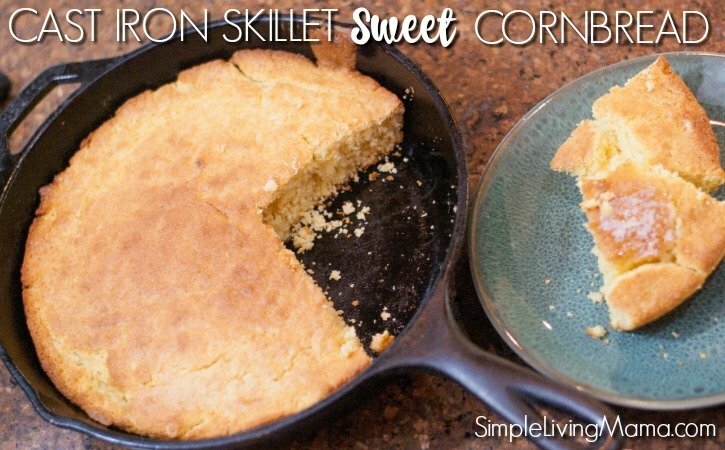 You can make everything from breakfast to dessert using your cast iron skillet. Since I love my cast iron so much, I have decided to devote an entire section of my website to cast iron skillet recipes. 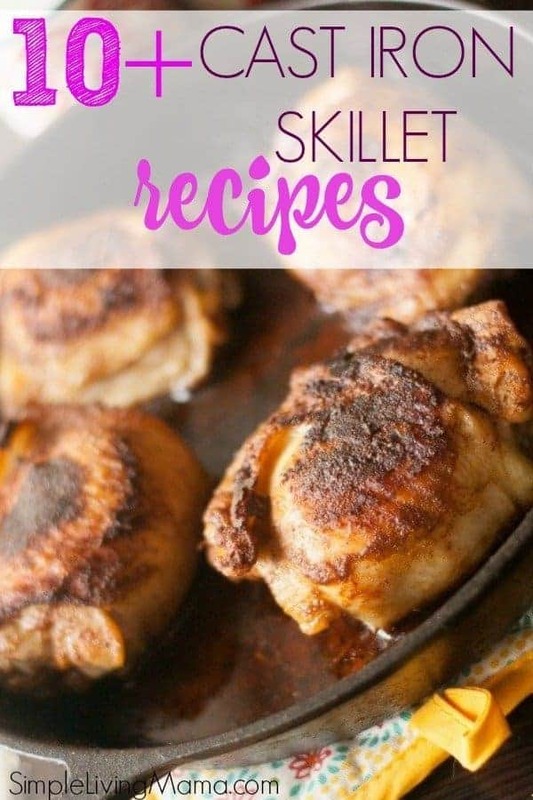 Here you will find a variety of tried and true cast iron skillet recipes from my kitchen to yours! Is Cooking in Cast Iron Good For You? Yes! Cooking in cast iron is a wonderful way to bump up your iron intake. This is one discard from your pan that will not hurt you, unlike other pans that can flake off in your food. What is Best Cooked in a Cast Iron Skillet? You can literally cook anything in cast iron. My personal favorite thing to make in a cast iron skillet is steak. Any kind of meat made in the skillet will be super delicious. The skillet allows the meat to get a perfect sear that is just so, so good. We are also fans of bacon cooked in the cast iron, followed by eggs cooked in the bacon grease. The one thing I would caution against cooking in cast iron is anything tomato based. The acid in the tomatoes, along with citrus fruits is not great for the seasoning on your skillet. Some say you can cook these foods in a very well-seasoned pan. I just prefer not to. People are often afraid of cast iron because they’ve heard that cast iron is hard to maintain. It’s true that you can’t just wash your pans and leave them to dry like other cookware, but with a little knowledge you will find that you can easily maintain your cast iron. My favorite cast iron skillet is the Lodge brand. The first cast iron skillet I ever purchased was the Lodge 10.25″. I have since added a cast iron grill pan and have plans to add many more skillets to my collection! Need a place to keep your recipes?